If you’re looking for a shop in Eugene, this spot was perfect, and sold at a great price. It’s about 1,800 square feet, has lots of power, 2 overhead doors, is plumbed for air with a compressor, and has an office and locker room. It has a fenced yard, and is about 1/4 acre. It’s also convenient to major arterials. Asking price is 200K, and some debt may be assumable. If you’d like more information or would like to see it, give me a call at 517-6543. 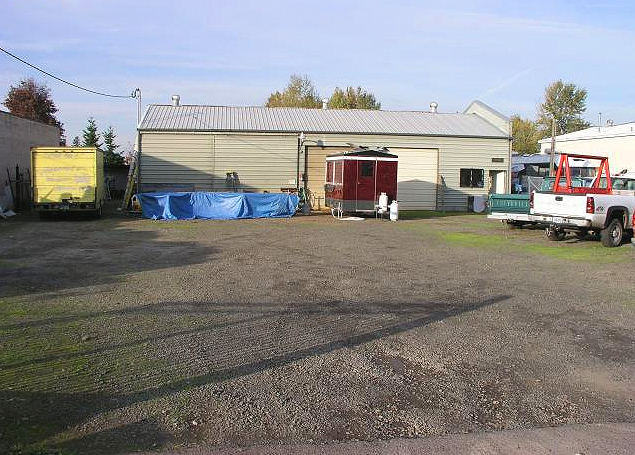 This entry was posted in Eugene Realty Listings, Uncategorized and tagged assumable debt, Industrial real estate eugene oregon, owner occupied, West Eugene. Bookmark the permalink.